Feeding your children is a full-time job – between picky eaters, constant media bombardment pushing bright, mascot-laden boxes, cans and bags of junk food and peer pressure from classmates to have “cool” lunches and snacks, figuring out the daily menu is tricky! When your child or another family member has dietary restrictions, though, that three-times-daily task becomes even harder. A lot of allergy-free (and especially gluten-free) ingredients, packaged foods and conventional recipes are not overly tasty, well textured or nutritious – and since children in particular thrive on texture (followed closely by sugar, salt and fat), the days of spoon-feeding baby food may seem like a long distant dream. Today, advances in gluten-free and vegan cooking have made allergy-free living not only bearable but enjoyable. Kid- (and parent-) friendly, safe food was clearly the goal of Carrie S. Forbes when she wrote 201 Gluten-Free Recipes for Kids. GFK is definitely not just a “kid food” book, packed with junk food made of sugar and refined starches. Yes, there are “treat” foods and desserts – including chicken nuggets and brownies – but good, wholesome meals are the main focus. Recipes like Broccoli Quinoa Casserole (p. 123) and Fish Baked in Papillote (p. 118) are definitely more on par with the book’s aims, and their simple but elegant flavours will entice adults and children alike. Both meat and vegetarian entrees are featured in GFK, along with baked goods, salads, soups, sandwiches and sides. Of course, no meal is complete without dessert, and GFK is rife with those too. Holiday favourites like Sweet Potato Pie (p. 185) and weeknight treats like Chocolate Pudding (p. 206) get equal billing here, and everything sounds good enough to devour right off the page. While most of my household doesn’t need to eat gluten- or allergy-free (myself and two second cousins being the exceptions), my social circle has a mosaic of various food restrictions, and speaking from experience I know it can be an alienating factor at gatherings. 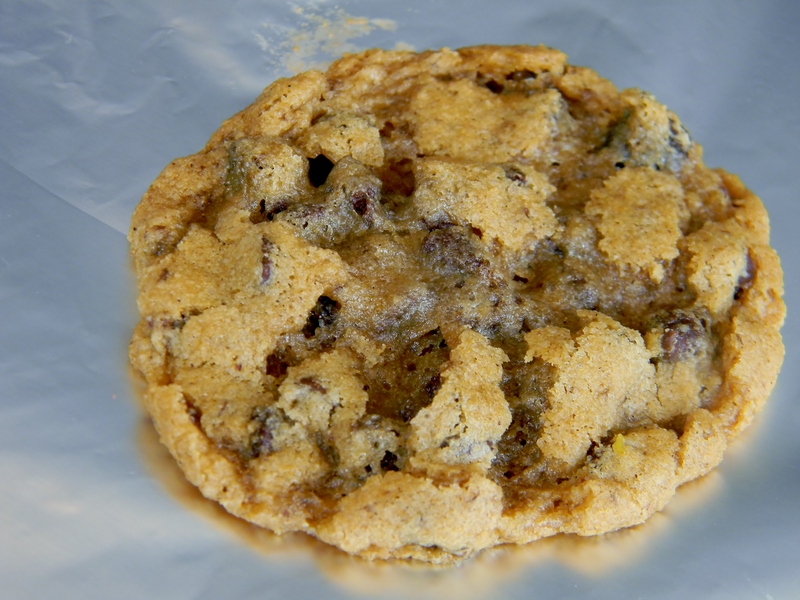 The first recipe I decided to whip up from GFK was the most comforting, homey, people-pleasing thing I could think of – Forbes’ Best Chocolate Chip Cookies (p. 191). Making the dough was a snap, but unfortunately the resulting cookies were as flat as crepes – probably due to a lack of xanthan or guar gum to properly bind the mixture. I tried chilling, freezing and baking the dough at different temperatures, but they all came out the same. Their saving grace was their flavour – they did taste fantastic, if you can get beyond the crispy, wafer-like texture. I had problems with other recipes in this book as well. In the Pumpkin Spice Muffins (p.40) recipe, there is no indication where to add the milk – a crucial ingredient – and the Split Pea Soup (p. 91) was in desperate need of extra liquid and seasoning (especially since the stated yield is 6 cups!). 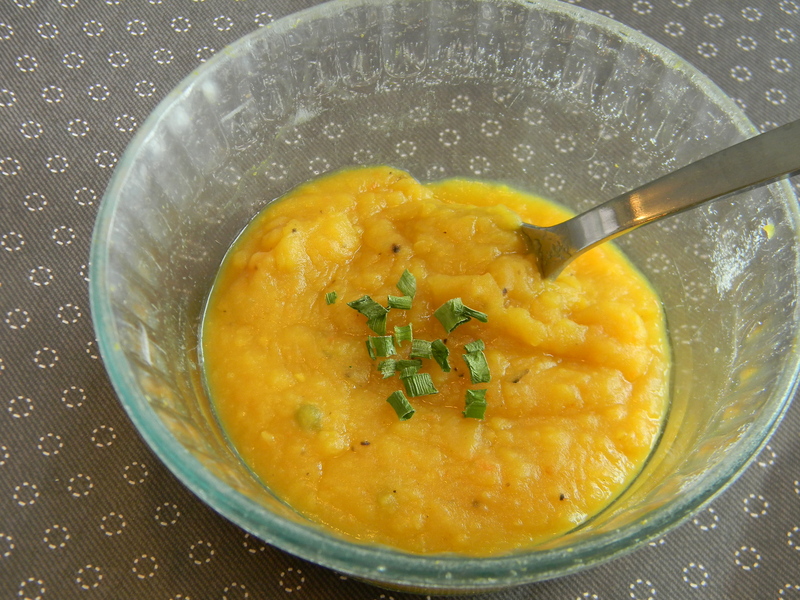 In addition to using easily 6 cups of water, I have also never seen a chunky split pea soup, so I pureed the mixture and believe the texture was much better for it. Luckily, most seasoned home cooks (gluten free or not) will be able to remedy those ratio situations easily. One omission that might trip up cooks unused to working with starches is in the aforementioned Chocolate Pudding – the author neglects to mention that the “¼ cup water, divided” needs to be half warm and half cold. I also noticed a potentially dangerous slip-up on page 150, which I hope will be remedied in the next printing – Forbes’ Secret Beef Burgers (p. 150) are, if you are to follow the instructions, to be served on whole wheat buns! Again, for those used to a gluten-free lifestyle this will not be an issue (since they will know wheat is a definite no-no), but if you are buying this book as a step into this type of food restriction you may find yourself with unpleasant results. Not all the recipes are problematic, however – I (and several of my friends) thoroughly enjoyed the Double Chocolate Cupcakes (p. 188), the Apple-Roasted Carrots (p.161) and the Cauliflower and Potato Mash (p. 163). All of these were not only delicious, but easy and appeal to both adults and children alike – the Mash is now on permanent rotation in our home since it is a great way to stretch the carbohydrate count out for my diabetic stepdad, and doesn’t contain fresh garlic (which he is allergic to). When I make it for myself, I add a clove of minced garlic, and a dash of paprika to the mixture (and usually have to add less liquid and fat – half of each, if not less, is sufficient. One of the things I found disappointing was this book’s lack of photos. There is an insert of selected pictures, but as with the cover photos they are not necessarily of the actual recipe. The cover photos are stock images, and the inner shots were done by Jennifer L. Yandle, who also photographed for Forbes’ other books. Being one who loves to gawk at food photos while cooking, I would have liked to see more “real” ones, but I understand the necessity of using professional photographers for a published book. Forbes’ blog, Ginger Lemon Girl, is a prime example of her stunning photographs and is a website I frequent for the recipes as well. While figuring out meals for the whole family to share can be a cause of frustration, Carrie S. Forbes is on a mission to make the task a little easier. 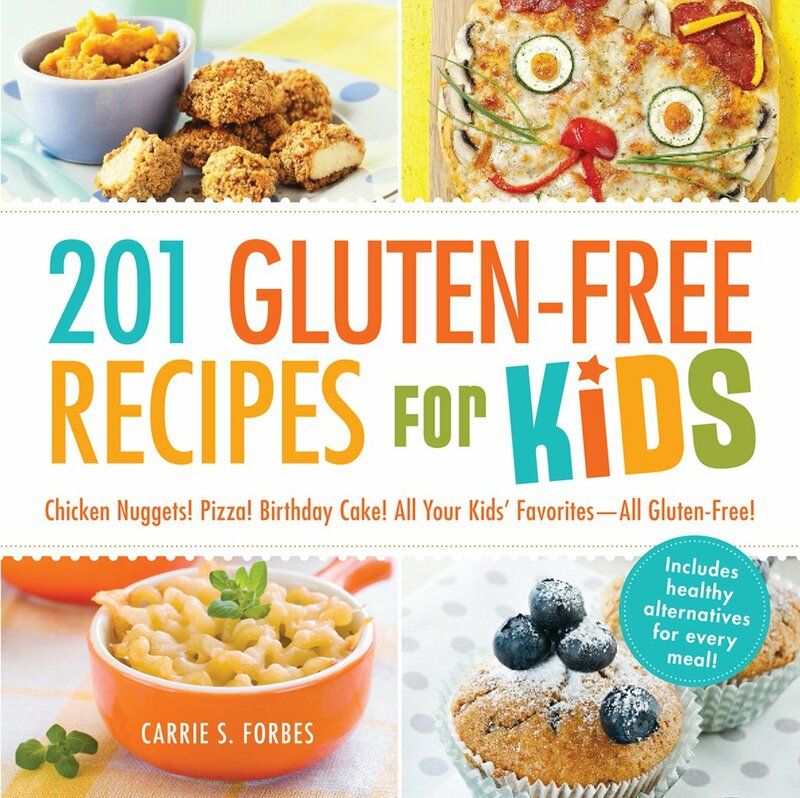 With a bit of cooking know-how, anyone can cook, bake and enjoy recipes from 201 Gluten-Free Recipe for Kids, even if those kids are grown!